Do not use a pot you will use for food again. Heat water to boiling and using a metal strainer add Crystal Art pellets until they turn glossy. In a silicone cupcake mold, add pellets with enough water to cover them. Microwave in short bursts of 10-20 seconds to start, and 10 seconds each time after, until pellets are malleable. Drain water. In a silicone cupcake mold or ceramic bowl that will not be used again, add pellets. Holding the heat gun 10-12 inches away, use a medium or low setting to begin to heat the pellets. When they start to become malleable and form a clump, a higher setting can be used. Note: Pellets activate at 110°C (230°F). Do not overheat. If pellets turn brown, remove heat source immediately. Do not leave in microwave unattended. It is best to work with smaller batches than one large amount. Once heated, transfer your Crystal Art to a silicone mat or parchment paper surface. Knead lightly. 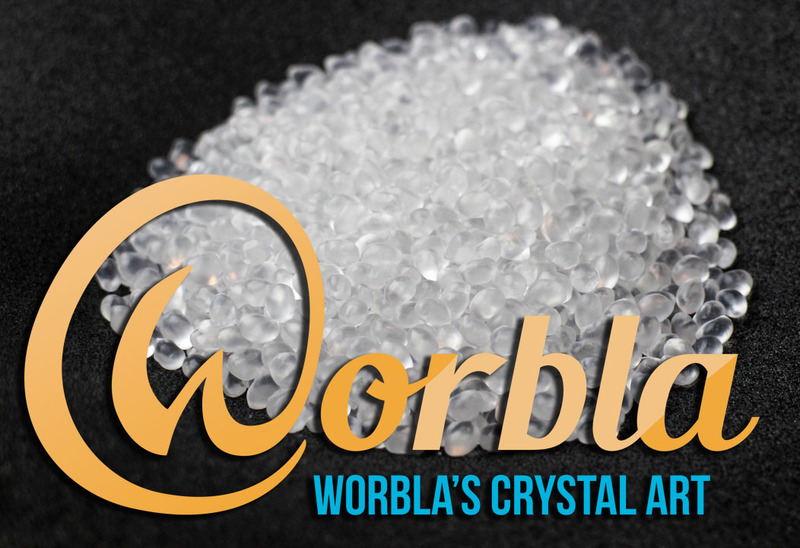 Then work the Crystal Art into molds, shape by hand, or sculpt with tools. Note: Crystal Art is HOT and STICKY. Always work with gloves to insulate your hands. Cover work gloves with nitrile or latex gloves and keep those gloves and all tools WET while working to prevent sticking. If Crystal Art sticks to a surface, allow it to cool completely before attempting to remove. Do not work on bare laminated surfaces, fabric, varnished wood or areas susceptible to damage. Crystal Art sets as a translucent, flexible plastic. 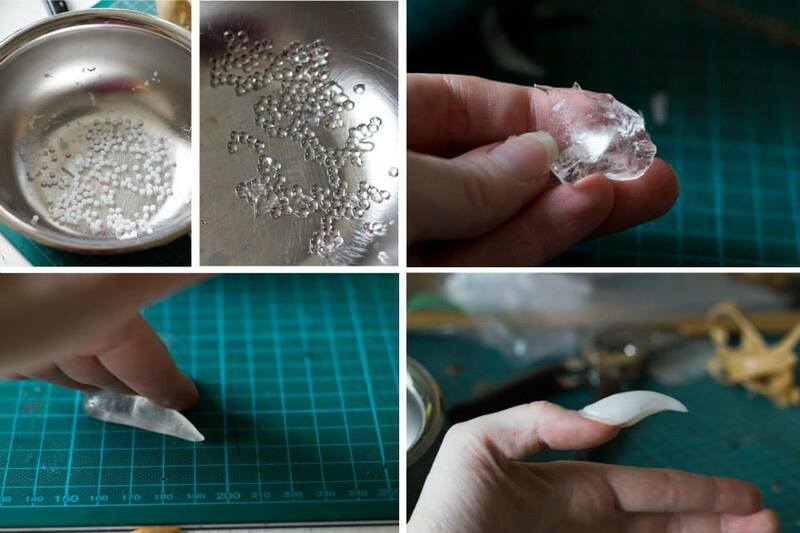 Crystal Art pieces can be reheated endlessly, cut with scissors, painted, glued, and scraps can be reused. For more inspiration, check out our various galleries and tutorials. Do not use a pot you will use for food again. Heat water – it does not need to boil – and using a metal strainer add Deco Art pellets until they turn clear. In a silicone cupcake mold, add pellets with enough water to cover them. Microwave in short bursts of 10-20 seconds to start, and 10 seconds each time after, until pellets are clear and malleable. Drain water. In a silicone cupcake mold or ceramic bowl that will not be used again, add pellets. Holding the heat gun 10-12 inches away, use a medium or low setting to begin to heat the pellets. When they are completely clear and malleable, remove. Note: Pellets activate at 65°C (150°F). Do not overheat. If pellets turn brown, remove heat source immediately. Do not leave in microwave unattended. It is best to work with smaller batches than one large amount. Once heated, transfer your Deco Art to a silicone mat or parchment paper surface. Knead lightly. Then work the Deco Art into molds, shape by hand, or sculpt with tools. Note: Deco Art is STICKY. If working with gloves, cover work gloves with nitrile or latex gloves and keep those gloves and all tools WET while working to prevent sticking. Deco Art can be handled with bare hands, but do work with caution. If Deco Art sticks to a surface, allow it to cool completely before attempting to remove. Do not work on bare laminated surfaces, fabric, varnished wood or areas susceptible to damage. Deco Art stays malleable and ‘fluid’ while warm. Cool finished shapes in cold water until fully opaque, or leave in mold. Otherwise gravity will pull your Deco Art out of shape. 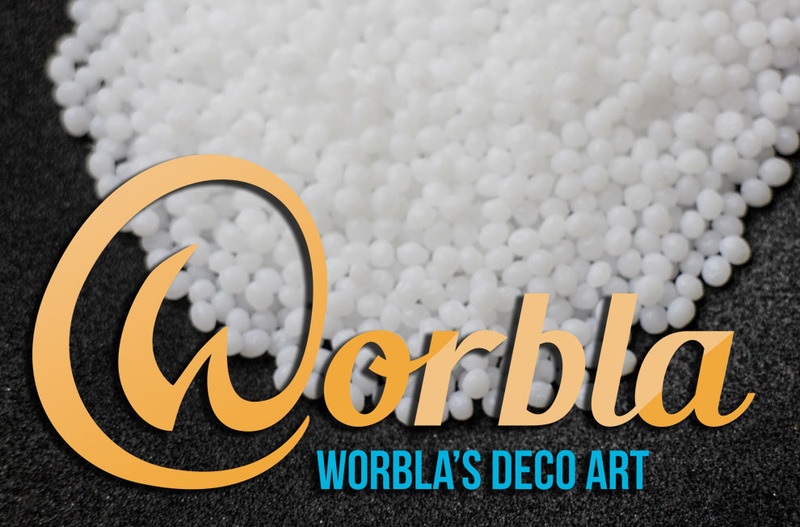 Deco Art cools to a opaque, hard white plastic. Deco Art pieces can be reheated endlessly, painted, glued, and scraps can be reused. For more inspiration, check out our various galleries and tutorials.